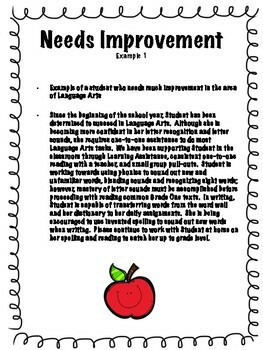 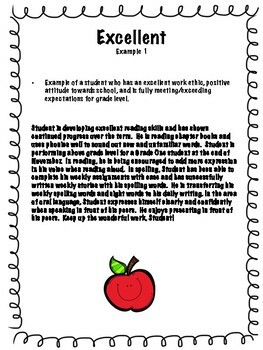 For your ease and use, I've created Language Arts report card comments in paragraph form for students who are fully meeting expectations to those who need improvement. 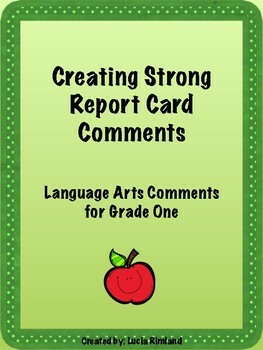 These are opening Language Arts comments for first term geared towards Grade One, however they can be altered to meet your primary grade level! 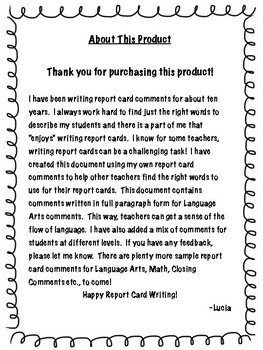 Happy Report Card Writing!